At Blue Tutors we understand that every parent wants to give their children the best possible start, but also that it can be difficult to decide if and when a student would benefit from tuition, particularly at such a young age. 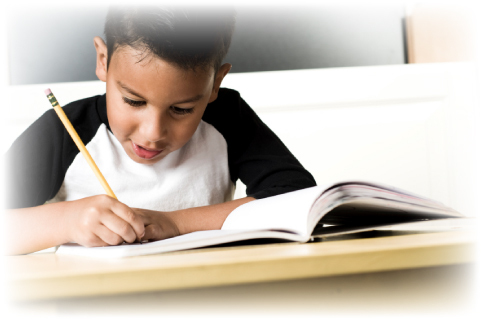 We hope that this page will help you to make this decision, and act as a guide once your child is being tutored. In the early years of Primary school pupils are often streamed, with the older students (those born from September to February) in one class, and the younger students (those born from March to August) in another class. If your child’s school doesn’t use streaming, then it’s possible that the youngest students will feel that they’re behind the older students in their class. This is of course completely natural. Someone who has just turned four can be in the same class as someone who is about to turn five, and it would be unreasonable to expect them to be at the same level. Another important thing to remember is that everyone is different, and we all develop at different rates. The students who have gone on to the best universities didn’t necessarily stand out academically when they were younger. We think that a young student’s development is very important, and that tuition can genuinely improve their development, but being outstanding at primary school doesn’t necessarily guarantee great A-level results. There seems to be a common perception among parents that it’s difficult to help ones children, and that they can do more harm than good. We’re keen to dispel this myth, and to encourage parents to help their children themselves, whether they’re also receiving tuition or not. Just by encouraging your children to read, or reading with them, can make a long-term difference to their English ability and verbal reasoning. Similarly if you can play games, and set problems involving logic and arithmetic (like Monopoly, or asking them to add up the shopping list) then it can improve their Maths and numerical reasoning. Our main concern is to ensure that we’re acting responsibly towards each of our students. It’s our policy not to tutor any students under the age of 4, and we ask parents to carefully consider whether tuition is the best way forward for their child. If your child’s school has identified that your child may have learning difficulties, then it would be very helpful for you to obtain their Individual Education Plan (IEP), so that our tutor is aware of the SMART targets (Specific, Measurable, Achievable, Relevant and Timed) that have been set by the school.